Central Otago is known for its dry, clear atmosphere; a land of contrasts. It is a sometimes barren and rocky desert-like environment bisected by rivers and towering mountains to provide a hugely diverse palette for the walker. The Mediterranean herb ‘thyme’ was introduced by gold miners many years ago and today clothes much of Central Otago with a wonderfully aromatic carpet. Many of our walks are through thyme fields which now form part of the uniqueness of the region. There are walks to suit all tastes and energy levels. 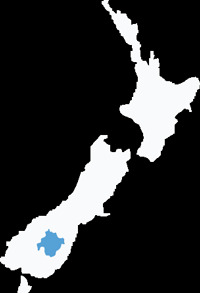 Most are in natural surroundings or highlight the Otago history of gold discovery and production. Many relics of these days survive and as well as wonderful scenery, there are history lessons to be had! Explore heritage towns and tracks first used in the 1860’s. Discover new places that until recently have been unknown to the public. Vineyards and orchards are big feature in Central Otago and some of these walks are through or beside row upon row of the new ‘gold’ of the area. 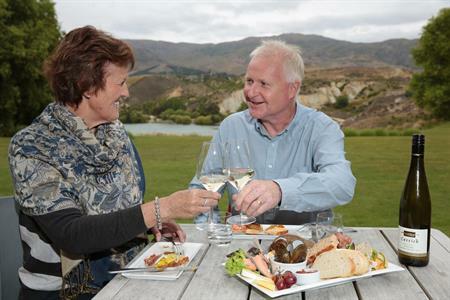 All year round Central Otago has a range of options from strolling to trekking, 15 minutes to a day or more. Described here is a selection of the best. What is sometimes underestimated is the vastness of this region. This commands respect and a good preparedness on many of these longer walks is paramount. Understand the magnitude of your selection, find out prevailing conditions from Information Centers or the Department of Conservation. Take food, water and spare clothing; be self sufficient, and if possible tell someone where you are going and when you plan to be back. All times given in the walks profiled are for reasonable walking speeds, with stops, that you could expect. Times will vary due to weather conditions, side trips, extended stops, etc. Come and enjoy our world of difference. From exploring the history of Clyde, to climbing the hills to the clock; strolling the river trail between Clyde and Alexandra to exploring unique landscape and flora at Flat Top Hill or the more challenging walk to Doctors Flat; Alexandra / Clyde walks are many and varied. Walks in the Cromwell / Bannockburn area will take you on a journey to explore the regions spectacular gold heritage sites, or meander alongside the shores of picturesque Lake Dunstan. Some are short and easy, others longer with challenging hills to conquer. Journey into the past when walking around the Maniototo’s historic settlements of Naseby and St Bathan’s. Follow the walking trails alongside the Hawkdun Water Race, or through the Naseby Forest. 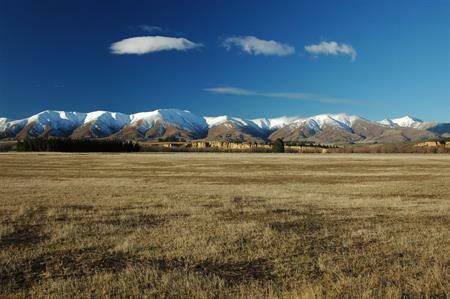 These are all walks which showcase Maniototo ‘a timeless land’. Roxburgh and the Teviot Valley have many walks and trails to be explored and enjoyed. From well formed short walks, to more challenging and longer trails following historic routes; walks with names like Bullock track, Horseshoe bend and Grover’s Hill there is something for everyone.